Ilan Rubin is a one-man army. Best known by Nine Inch Nails fans as Trent Reznor’s drummer extraordinaire and a returning player to the industrial rockers’ string of festival dates, Rubin had a hand in fellow moody bands Paramore, LostProphets and supergroup Angels & Airwaves. 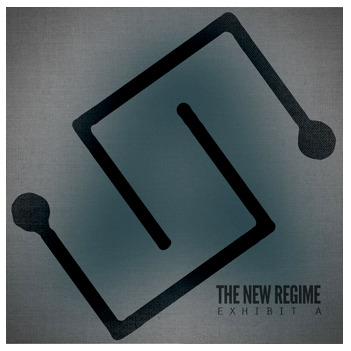 Under his solo moniker The New Regime, he’s a player of all instruments, an expert arranger and composer crafting what may become your new favorite album until the next Exhibit rolls around. Exhibit A is a sturdy introduction to the inner workings of one of rock’s most prolific multi-instrumentalists. The tightly wound EP unravels spools of minimalist electronics, rich harmonies, and varied textures that are thicker than a wool coat. Despite the heaps upon heaps of expertly produced sound, Exhibit A is eight breezy tracks recalling those same aforementioned brooding bands all in Rubin’s unique style. Quintessential track “This Is A New World” is sultry rhythm in motion, a booming bass echoing through syncopated drums and Rubin’s honey-drenched vocals. “Too good to be true / You’ll have to wait and see / This is a new world” coos Rubin, over waves of echo-soaked instrumentation. The breakdown that flows forth comes on like a restrained Muse ballad. Its nuances are what make it memorable as guitars fuzz things up mid-song. For an artist who has already admitted that Exhibit A barely scratches the surface of The New Regime, there seems to be no shortage of tracks whose cups runneth over. Closing track “Know How It Feels” is endearingly acoustic, a measure of the breadth of Rubin’s musical scope. If this were a game of genre Risk, Rubin would have already conquered the powerhouses of the board, as the faint mandolin sounds trade stutters with him post-chorus. There’s something sinister in those laments, as Rubin sets the scene for a complex love. As ominous as it starts with the crashing guitars of “Hope Is Gone” so Exhibit A ends with an equally tender cadenza, decrescendo-ing off into the distance and onto whatever the hell is next for The New Regime. That silent sense of mystery’s a good thing.